Great selection of Neenah Heat Transfer Paper. 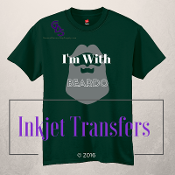 Inkjet Heat Transfer Paper is used in inkjet printers to print and then transfer the desired image onto a garment that is wash and dry durable. 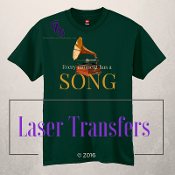 Laser Heat Transfer Paper makes it possible to create and sell personalized products along with all styles apparel. Decorate light and dark garments without head clogging, pretreatment or other messy processes. Fast and easy to do just one shirt!